Opening credits are often underrated, and it was never more apparent than in the recent Madhavan-Vijay Sethupathi film, Vikram Vedha, whose opening animation sequence beautifully setup the whole film and its structure even. The initial sketches apparently seemed straight out of a picture book, but after a few trials, the team got the basic outline right, including the portrayal of blood and Vedha’s eyes in shades of red. The directors then gave a script that was essentially a scene-by-scene picturisation of how they had reimagined the Vikram-Vedhalam story, starting off with how Vikram is a sad, hopeless king. The directors provided immense freedom to present it in the artist’s own style, their only suggestion being to make all the shots look aesthetic. “We needed the title track, so the sequence could be in sync with it. 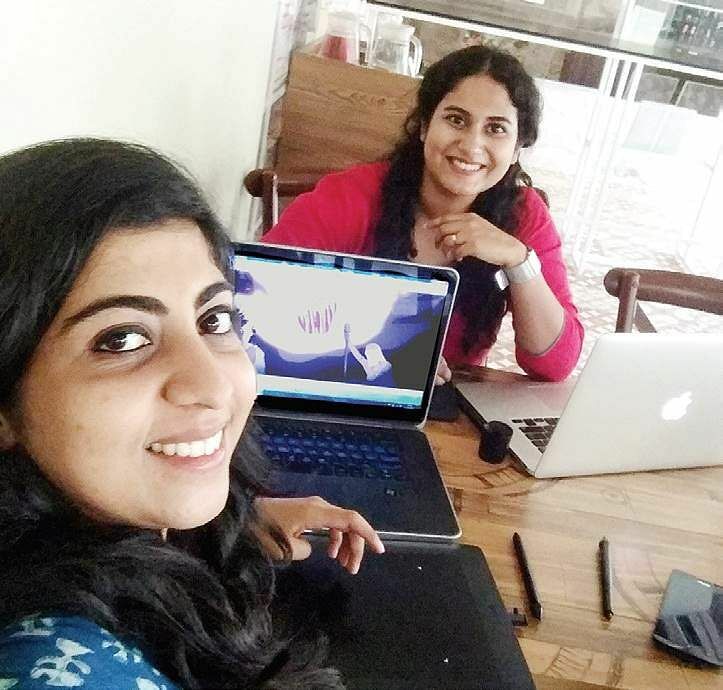 It was around this time that popular animator Jemma Jose joined me, and a lot of coordination had to be done to ensure continuity,” she says. Jemma, who joined the project later, explains the colour scheme: “Pushkar-Gayathri wanted us to utilise a grey, black and white colour scheme, in keeping with the theme of the film. If you noticed, the same pattern is followed in all the posters, and other designs that were made for the film. They wanted the palette to be desaturated with the tones being strong and powerful,” she says. I ask about the rather minimalistic style of the art. “We used 2D hand-drawn animation as we felt it would do justice to the theme of the film,” she says. “We cannot have complex graphics and multi-layered effects as it would really distracted you from the main point.” The biggest challenge, according to the duo, was time. “That’s always the biggest challenge for any animator. We easily took more than one-and-a-half months from storyboarding to the completion of animation,” says Jemma. 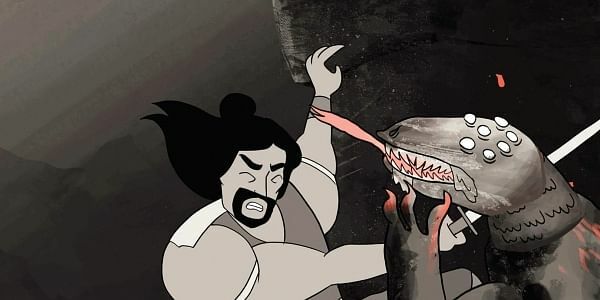 Pushkar feels that the animation really connected them to their childhood days, when they were first exposed to the Vikramaditya-Vedalam stories. The official video of the animation will be released on YouTube this week.